Acne is probably one of the most dreaded 'A' word among people especially Teenagers. A skin condition characterized by pimples on the skin, due to inflamed or infected sebaceous glands. Here are the answers for the most commonly asked questions on Acne. Q. What do we do when we get a pimple? A. First of all, please don’t touch the pimple. I have come across many people who try to pop it. This is a strict no. When you do this, you might end up infecting it further and it may turn into a thick walled cyst and you wouldn’t want that. Secondly applying a topical lotion containing ‘Clindamycin’ is good to dry it up. If you are still worried, consider visiting your skin expert. Q. What can I do to prevent acne? A. Cleanse your face and keep it clean but please do not overdo it. You may end up drying your skin more. Eat healthy and sleep well. Get your hormones checked. Lastly take it easy and visit your doctor. Q. Can I moisturize my face even if I have acne? A. Yes you can and you should. Make sure you choose the right product. Generally a gel or a serum should be a good idea. Consulting a skin expert before buying any new product would be ideal. Q. Can I use makeup if I have acne prone skin? A. Definitely. Go ahead and use whatever colours you wish but remember to choose a good tried and tested brand. Acne is most commonly prevalent among teenagers. Nevertheless, anyone of any age group can start to have this skin condition. It is not exclusive to any single age group. 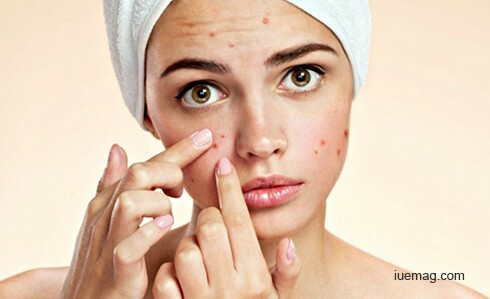 If acne is seen as an adult in an individual, it is called as adult acne. Although acne is very common in the face, it may also be seen in other body parts such as back, chest etc. Acne which is seen after waxing especially in arms and legs of women are called as Pilaris Keratosis. Please do visit your skin expert to find out the right treatment as it varies according to the cause of the acne. In certain cases, you might also be put on antibiotics to heal the inflammation. Acne can be to a host of reasons ranging from hormonal to digestive issues. So go ahead, take care of that beautiful skin you have and Stay Beautiful!